Suspect sought in Bank of Guam skimming - KUAM.com-KUAM News: On Air. Online. On Demand. The third time's the charm...or in this case, it's the third scare. Caught on the ATM's cam in a possible skimming scam? 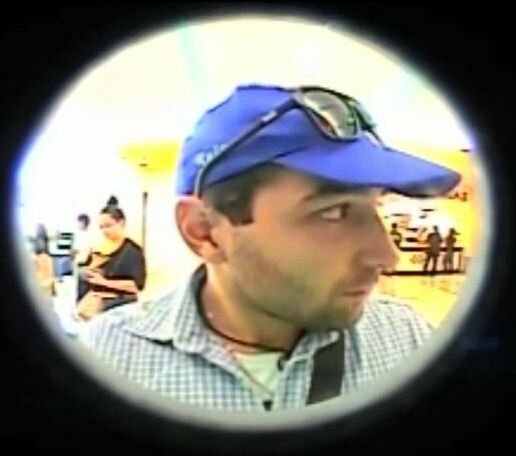 Bank of Guam released these photos Monday, of a man wearing a blue cap and sunglasses, suspected to be the man behind the skimming device found August 2nd at the Bank of Guam ATM in the Micronesia Mall. Only two days later, another skimming device was spotted - this time miles away, at a Subway in Agat. On Saturday August 4th, it was removed and reported to authorities. According to a statement from the Bank, there is reason to believe it's the same individual who was responsible for the last two incidents. GPD confirms they're working with U.S. Secret Service to verify the photo. In June, a similar incident was reported at the Micronesia Mall's Food Court. Still no arrests have been made. Bank of Guam wants to assure customers ATM security is a top priority. Encouraging clients to closely monitor their account activity, and immediately report unauthorized transactions. And of course, take caution when using an ATM. -Inspect the ATM, gas pump, or credit card reader before using it. Be suspicious if you see anything loose, crooked, or damaged, or if you notice scratches or adhesive/tape residue. -When entering your PIN, block the keypad with your other hand to prevent possible hidden cameras from recording your number. -If possible, use an ATM at an inside location. -Be careful of ATMs in tourist areas... they are a popular target of skimmers. -If your card is not returned after the transaction or after hitting "cancel," immediately contact the financial institution that issued the card. If you have more information about the case, you should notify the Guam Police Department at 472-8911.